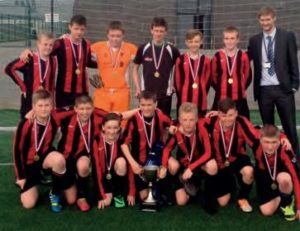 Lord Derby Academy is a modern, purpose built building with state-of-the-art facilities and fantastic resources. We pride ourselves on the additional opportunities we provide for our pupils beyond their excellent academic experience in lessons. Learning inside the classroom is the key to success, but we also believe that so much more can be learnt beyond the classroom. Enrichment activities and trips play a very important part in enriching and enhancing a pupil’s experience of school life. The aim at LDA is for every pupil to take part in at least one form of enrichment. Pupils enjoy lunch and after school clubs across curriculum areas, including music, art, drama, science and mathematics to name but a few. 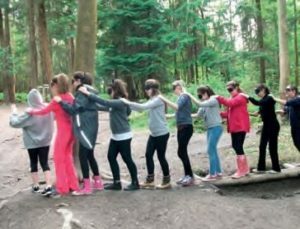 Every possible type of trip and visit – to suit all interests and all abilities is available for pupils, including team building weekends, rewards trips and work with local post 16 – organisations. We have a very strong tradition of sport at the school. LDA has regular participants in local and national competitions. Many individuals and teams enjoy success both locally and nationally, including our basketball team becoming Knowsley Champions for 5 consecutive years. Recently pupils took part in a sports tour to the Netherlands to represent the Academy in both basketball and football. Swimming lessons, which take place in Knowsley Leisure and Culture Park, are also a key element of the P.E. curriculum, offering a range of activities from learning basic swimming strokes to advanced lifesaving skills. We have forged strong links with our local and global community. These links are strengthened by pupils volunteering to support and help those in need, delivering food hampers to the elderly at Christmas, bunches of daffodils to local residents at Easter. 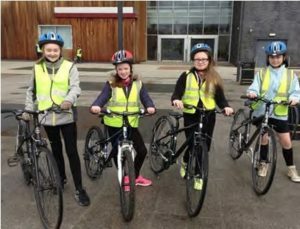 Other successful enrichment projects include the Level 3 ‘bikeability’ course, involving a combination of cycling proficiency and cycling safety activities. All Year 7 pupils are given the opportunity to complete the course. At the end of Year 8: Completion of an outdoor activity project. At the end of Year 9: Embark on the Duke of Edinburgh Bronze Award. At the end of KS4: Attend a cultural enrichment activity. programme of events and activities with a range of post 16 providers and universities. This programme aims to ensure all pupils feel supported in achieving their future aspirations and goals.